How can I get more logging info for my job? Don’t hesitate to contact us when things go wrong! We’re happy to help you overcome the difficulties that every Grid user faces. In order to assist you better, we have a few troubleshooting steps that may already get you going and otherwise may help us to help you. Check the output of voms-proxy-info -all. Is your proxy still valid? Does it have the correct attributes for the work you’re doing? Try running your command with higher debugging level or verbosity. Is the resource you’re using in downtime? ## A basic firewall check: can you connect to the port? ## GridFTP data channels are more difficult to test, because the port opens only after a transfer is initiated. ## But after we start an iperf service, you can try to telnet to it. ## Keep in mind that we have to start iperf first! Occasionally, transfers are stuck when 0 bytes have been transferred. There are some common causes for stalled transfers. A firewall blocks the ports for the data channel. 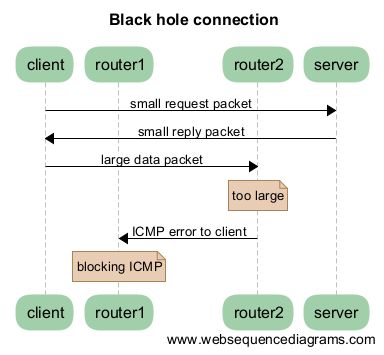 If you use srmcp, specify --server_mode=passive. If that doesn’t help, check whether your firewall allows outgoing traffic to ports 20000 to 25000 (GridFTP data channel range). You’ve reached the maximum number of transfers for the storage pools that have been allocated to you. All transfers beyond the maximum will be queued, until previous transfers finish to make ‘transfer slots’ available, or until they time out. Besides the failing transfers, there is another downside: some of your jobs might be wasting CPU time while they wait for input files. This is not efficient. It’s better to reduce the number of concurrent transfers so that you don’t reach the maximum, or ask us whether the maximum can be increased. You can see whether this happens at these graphs. A red color (‘Movers queued’) means that there are stalling transfers. # Run this from your endpoint of the transfer; adjust the value to find the limit. # Check first whether your system supports a MTU of 9000. # This command tells you what the supported MTU value is. Another good tool for testing the network is iperf. We’ll start an iperf server at your request so that you can test against it. A fix for Linux servers is to enable tcp_mtu_probing in sysctl.conf. This enables the Linux kernel to select the best MTU value for a certain network route.